The Giants of the Empire State stood tall and strong, emulating their mother superior, the goddess Libertas, their ranks ready for facing the onslaught from the ferocious Eagles that circled their island domain. Ever so imperceptibly, the Eagles converged and launched an aerial assault, their reinforced appendages ready to strike. However the Giants had rehearsed their strategies well and what would have been a defensive maneuver turned into a grappling offensive, plucking the Eagles out one by one, advancing towards victory. Where this account could very well have been right out of the annals of Greek mythology, it is rather a fanciful depiction of a showdown between the New York Giants and Philadelphia Eagles. Both teams represent the Eastern Division of the National Football Conference in the National Football League and you can catch the later one by grabbing some New York Giants tickets. Back in the roaring twenties, the denizens of the Big Apple were introduced to football for the first time by the Giants just five years after the founding of the NFL itself. Tim Mara, a self-made and highly successful bookie, purchased the NFL franchise for New York for $ 500 and formed the New York Giants team in 1925. Initially facing a lackluster response, Mara worked his showmanship and scheduled games with other teams that already had famous players, such as Red Grange of the Chicago Bears. Since then, this investment has paid back more than a million times over as the Giants are worth about a cool $ 1.3 billion today. The New York Giants scoop out their players in the annual NFL Draft that has been the sine qua non for inducting players in NFL franchises. The 2011 New York Giants draft concentrated on the offensive and linebacker lines, and ended with the Giants having recruited 8 players in all, with cornerback Prince Amukam ara from Nebraska toping the draft at the 19th pick. In the last ten years, most of the Giants' first-round draft picks have been those in the defensive positions, such as the Defensive back one. The New York Giants is one competitive clan of football playing titans. They lead the series in most of their rivalries, especially in the one with the Philadelphia Eagles where they have plucked all their feathers out more times than the Eagles have brought them crashing down. Only the Dallas Cowboys have dominated the seemingly indefatigable Giants with 56-40-2. However, the Giants are old hands at clinching victories and they have lumbered through 7 League Championships including three Super Bowls, 10 Conference championships, 15 Division ones and made to the playoffs 30 times. The New York Giants have lived up to their exaggerated moniker by having 27 members being inducted into the coveted Pro Football Hall of Fame . Last year saw the Giants move into their glorious $1.6 billion new home, the MetLife Stadium, from their former one of the Meadowlands that was literally a skip and a jump away. So book your New York Giants tickets for beholding the true titans of football in their full towering glory. Q:Are cheap giants tickets guaranteed? 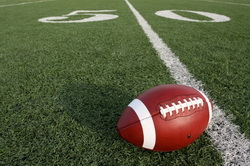 A:New york giants Tickets are 100% guaranteed with us as we make customer satisfaction our top priority. Q:What maximum discount can I get on new york giants tickets? A:Please go through our pages to find out about the price list for new york giants Tickets. Q:Are you offering good seats with cheap new york giants tickets? A:The seating arrangement for New York Giants Tickets is published online. Choose your preferred places and place the order right away. Q:Am I too late to order my new york giants tickets 2013? A:Not really, you are still in time, order your New York Giants Tickets from us right away! Q:Are there any new york giants tickets for sale? A:Yes, New York Giants Tickets have gone up for sale on our website, check out the price list and place your order right away. Q:Can i pay for new york giants tickets by cash? A:No, as per the company policy you can only pay for New York Giants Tickets by American Express, Visa, Master Card and Discover. Q:When will the giants tickets for sale start? A:The New York Giants Tickets are already being sold and you can buy them from us at the most amazing prices in the market. Q:What is the Best Strategy For Buying Ny Giant Preseason Tickets? A:You don't need to get into any hassle as you can buy New York Giants Tickets from our website by following a simple procedure.